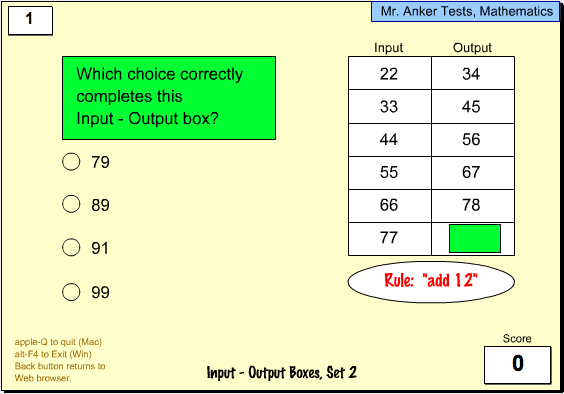 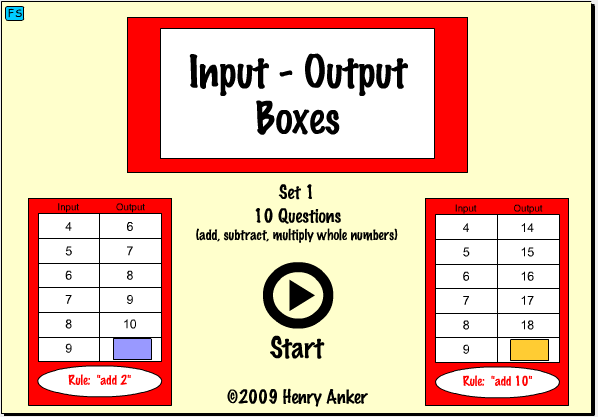 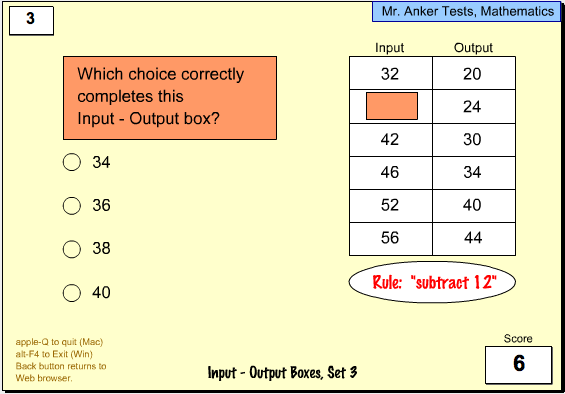 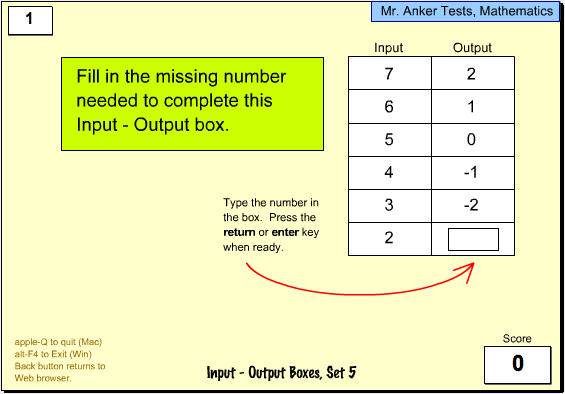 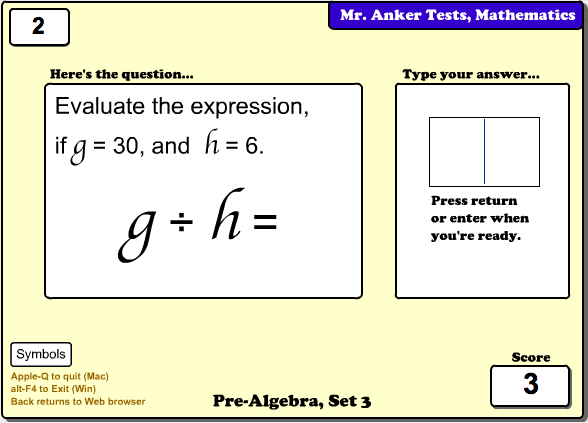 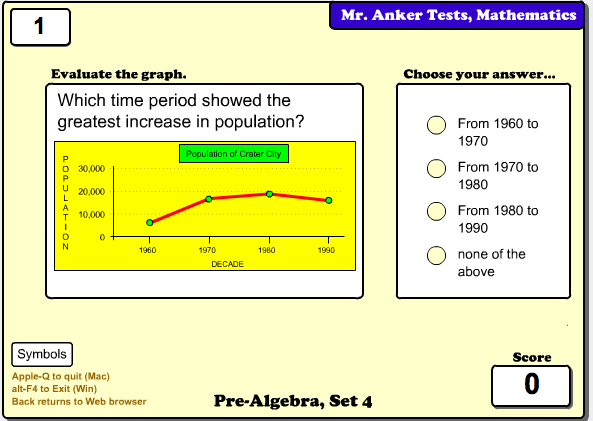 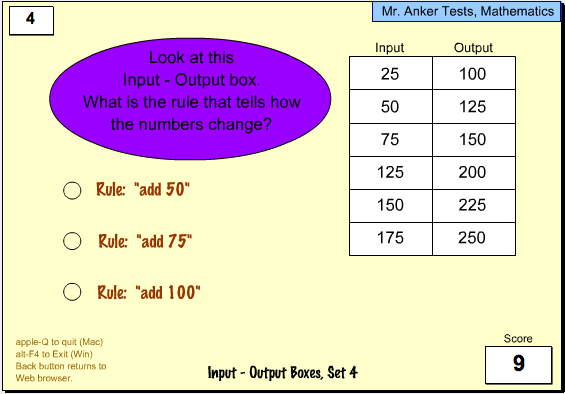 Use these practice activities to get to know Algebra & Functions. 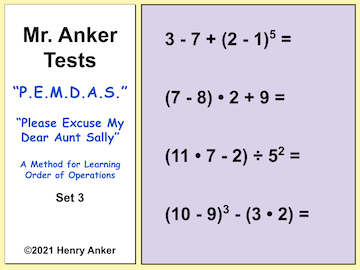 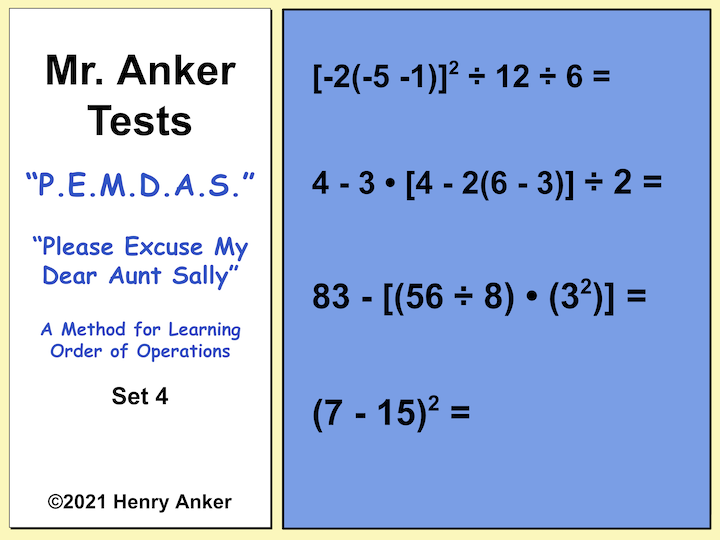 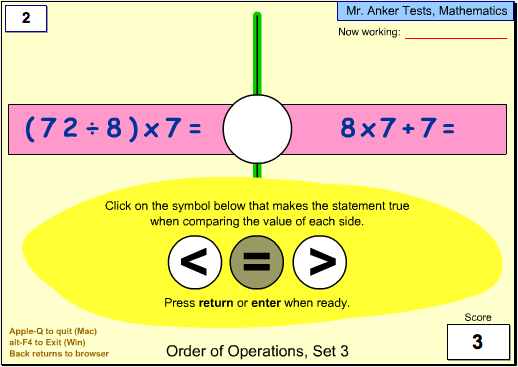 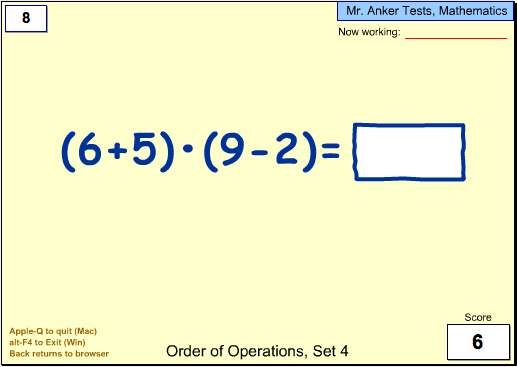 Order of Operations/P.E.M.D.A.S. 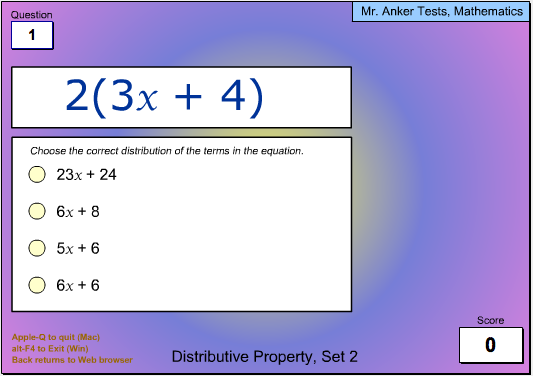 & Distributive Property. 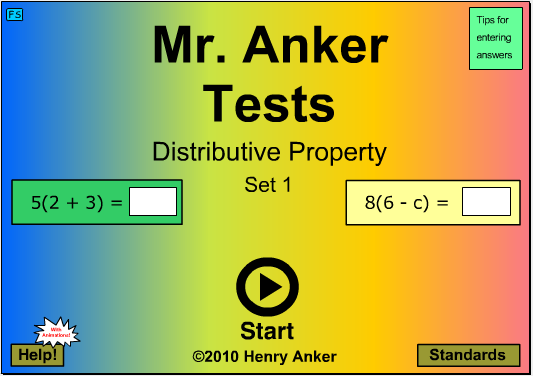 This set, like all others that follow, will be a little harder. 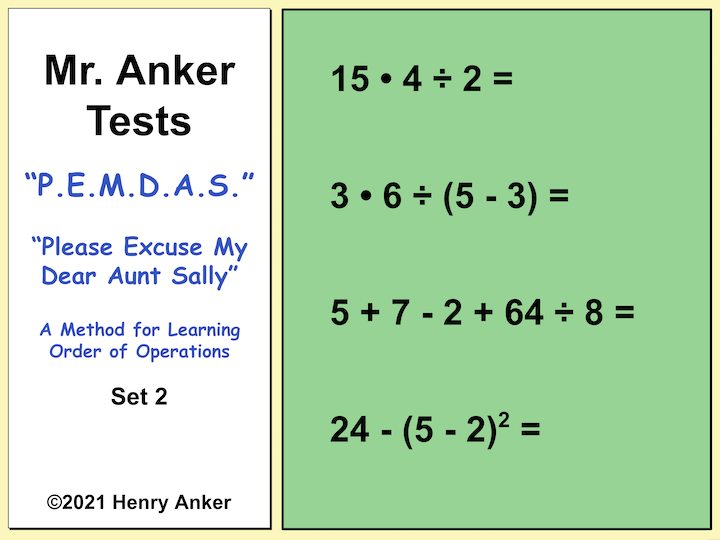 Order of Operations / P.E.M.D.A.S. 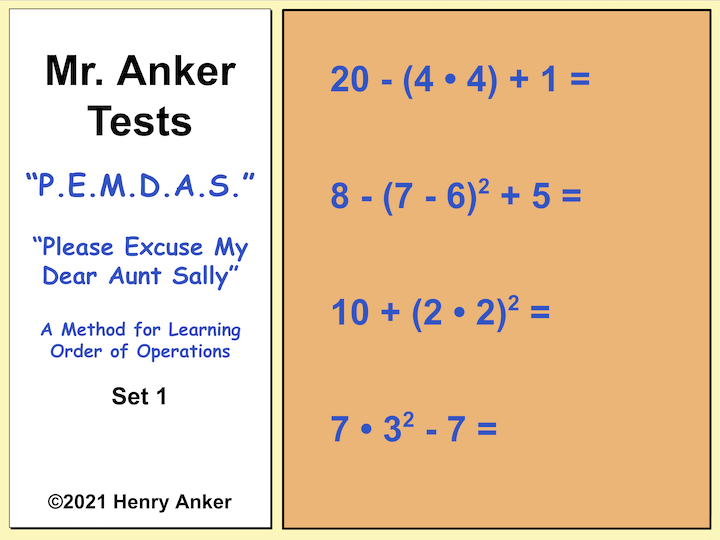 Use P.E.M.D.A.S. 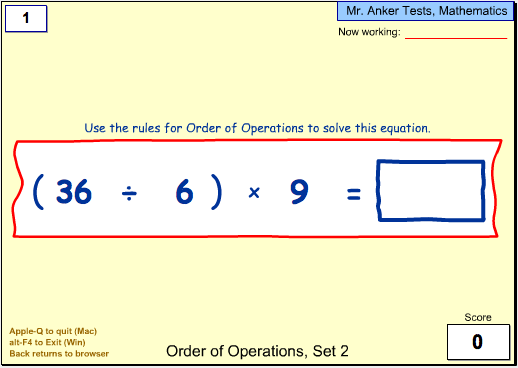 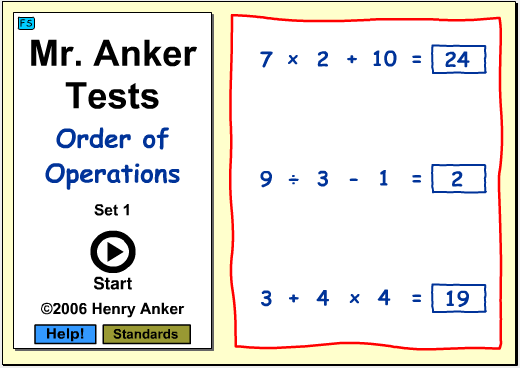 to determine in what order operations are exectued. 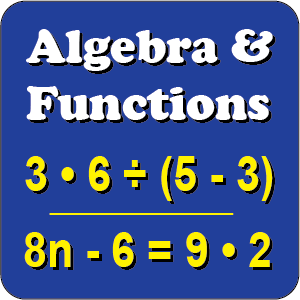 Apply algebraic order of operations and the commutative, associative, and distributive properties to evaluate expressions. 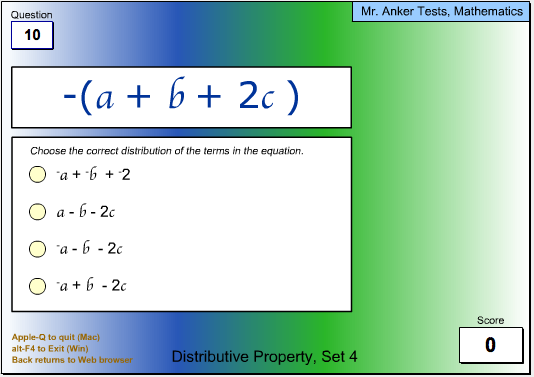 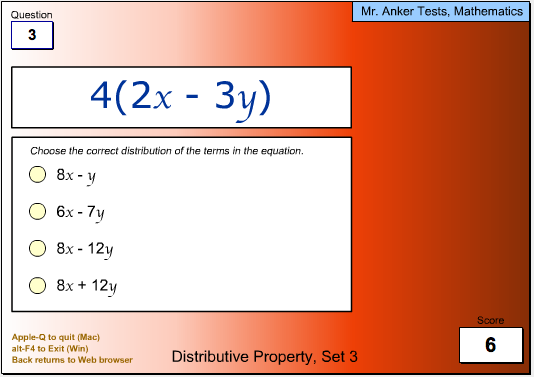 Apply the distributive properties to evaluate expressions.